The cost of medical treatment and emergency evacuations varies from country to country. While traveling in Europe, for example, a foreign traveler may not need a lot of medical coverage (in some countries, medical treatment is ‘free’) but they might need sufficient evacuation coverage because they are a long way from home. Without sufficient coverage, a traveler could wind up paying a large medical or evacuation bill - even if they bought visitors insurance. Visitors insurance plans always have a list of exclusions, which are the non-covered emergencies that could happen to a traveler. For example, nearly all visitors insurance plans automatically exclude claims filed because of terrorist attacks. If you are traveling in a foreign country and are injured in a terrorist attack, your medical care may not be covered. It is 100% important that travelers carefully read their plans and understand the exclusions. While the grandparents traveling on this trip don’t likely need hazardous sports coverage, a few teenagers might. It is important to take into account who is going on the trip, what their activities will be and what coverage each person may need. 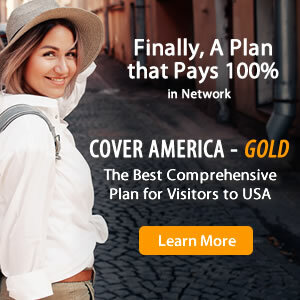 The best strategy when buy visitors insurance is to buy it very early - as soon as you make your first travel reservation. Why? First, because you have more time to review the plan and understand it or call to get explanations for things you don't understand. Furthermore, you have the longest amount of time to cancel your trip if trip cancellation is included with your plan’s coverage. 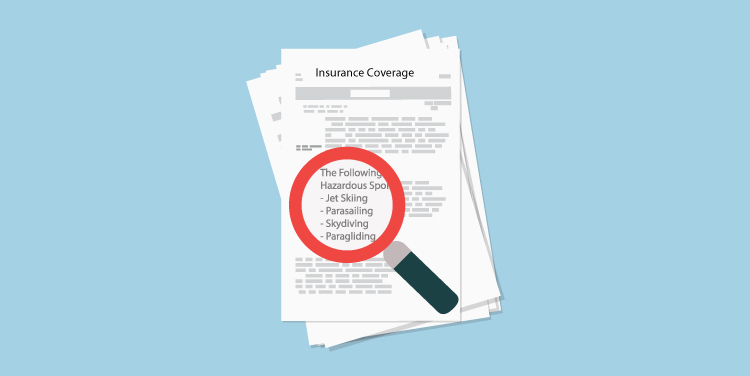 Lastly, some coverage requires early purchase: for example, pre-existing condition coverage. Do not wait to purchase your visitors insurance. Claims are often denied because travelers don't adequately understand their visitors insurance exclusions. For more information about claim denial, find out why visitors insurance claims are denied.